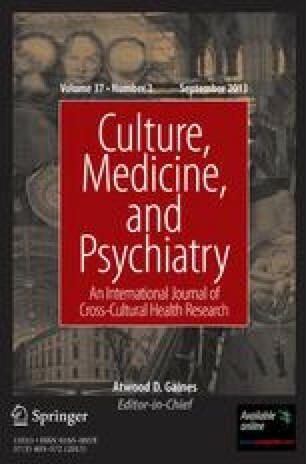 Our understanding of the psychosocial and cultural dimensions of disease and illness is limited not merely by a lack of empirical knowledge but also by an inadequate medical semantics. The empiricist theories of medical language commonly employed both by comparative ethnosemantic studies and by medical theory are unable to account for the integration of illness and the language of high medical traditions into distinctive social and symbolic contexts. A semantic network analysis conceives the meaning of illness categories to be constituted not primarily as an ostensive relationship between signs and natural disease entities but as a ‘syndrome’ of symbols and experiences which typically ‘run together’ for the members of a society. Such analysis dirests our attention to the patterns of associations which provide meaning to elements of a medical lexicon and to the constitution of that meaning through the use of medical discourse to articulate distinctive configurations of social stress and to negotiate relief for the sufferer. This paper provides a critical discussion of medical semantics and develops a semantic network analysis of ‘heart distress’, a folk illness in Iran.